RogerBlazic.com: Renegade Obama | Why Are We Attacking Libya? Over the weekend, while on vacation in Brazil, President Barack Obama ordered the firing of missiles on Libyan soil, and did it without the approval of congress. The big question is, "Why are we attacking Libya in the first place?" Reports have surfaced that Europe gets most of their oil from Libya and we are supporting our allies. Facts nullify this statement. Libya only produces less than 2% of the world's oil supply. According to a report on Bloomberg Television in February 2011, Libya produces 1.6 million barrels a day. OPEC has what they call spare capacity; that amount is 5.2 million barrels a day. All of Libya's production could be halted and the OPEC spare capacity would absorb it on the open market. So fighting for oil is not an excuse. Another statement made by Dennis Kucinich (D-OH) on Friday was, "The President does not have power under the Constitution to unilaterally authorize a military attack in a situation that does not involve stopping an actual or imminent threat to the nation." It is funny the way the anointed one seems to have gotten a complete pass on this action by the press. Although, the conservative radio shows just got handed a week's worth of material. I thought Obama was anti-war - pulling out of Afghanistan and Iraq. 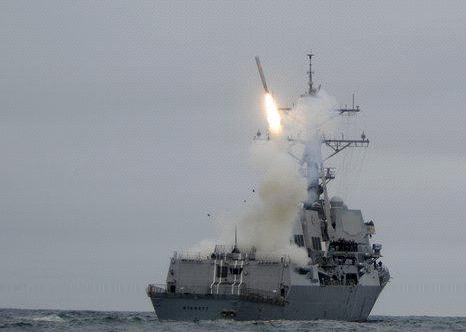 Now, almost on a whim, he's firing missiles at Libya. And we all thought George W. Bush was war crazy. This clown running Libya has been killing his own people for years, why the big interest now? Is the international community upset because no one knows how to spell his name? I've seen his name spelled: Qadhafi, Kaddafi, Qaddafy, Khadhafi, Khadaafy, Khaddafy, and my favorite, Dickweed. If human rights are an issue, where were we in Darfur? Over 300,000 people have died since 2003 in that region. A recent study showed that about 80% of the deaths were due to disease and starvation. Violence has quelled, but there is still a tremendous humanitarian need, not to mention the 2.7 million refugees displaced over the last eight years. Obama is acting like a blind retard with a hair-trigger machine gun on a mechanical bull. He's just shooting up the place and has no idea why. Maybe he's taking a page from Clinton's playbook. When things are a bit rocky at home, drop some bombs on the other side of the world. Maybe the Libyan situation had reached step 3 in the covert playbook. I once saw a video by a former CIA covert operator. He said that when they want to change a government the first step is to send in the jackals - these are assassins. The next step is to get the people to revolt. And if that doesn't work, you send in the military. I have a feeling that there is something rather seedy under the surface here and I don't know if we'll ever find out. All I know is that I'm not interested in another war in that part of the world. All three of the conflicts we are engaged in are lose-lose scenarios. We've shaken hands with these dictators through the years. Now the people want democracy. Over time, they will most likely elect a Muslim theocracy to rule their country. Historically, Middle Eastern theocracies have not been very good for us. The bottom line is, we can't impose our values on this region. We need to let them fight it out. Today, I will still be wondering, "Why we are attacking Libya?" The scary part is, I don't think President Obama knows. If you enjoyed this article, share it with others using the buttons below. Comments are welcome.